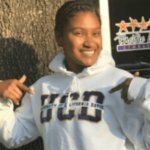 Join us on Wednesday, November 8th as Cortney signs her National Letter of Intent for University of California, Davis and as we celebrate her amazing accomplishments. Congratulations, Cortney! 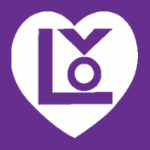 Food Drive – Join us and LOV! Pacific West Gymnastics is partnering with Newark based League of Volunteers (LOV) to collect dry goods and canned foods for their Annual Community Thanksgiving Day Dinner. 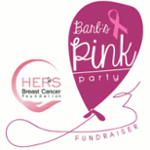 Barb’s Pink Party on Oct 14 was a blast! We raised over $6000 for HERS Breast Cancer at the event. Plus we’re on track to meet our $20,000 goal. Thanks to all who participated at the event! It’s not too late to donate. Feel free to donate online while our fundraising page is still live. 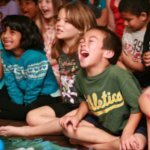 Bring your little one in to burn off some energy at Camp Pac West’s Veterans Day & Thanksgiving Camps this month. With play time in the gym, structured gymnastics lessons, arts & crafts, fun and friends, it’s sure to be a fun filled day! We often announce competition results, special events and news on our website and social media. Links are below. 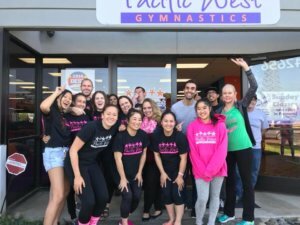 Pictured, DJ Alex Reyes plus Pacific West Gymnastics & HERS Breast Cancer staff at Barb’s Pink Party.